If you are an avid reader of my Massachusetts Real Estate blog you probably have guessed that one of my passions is to help out those that are in need of completing a short sale. Massachusetts home owners struggling to make mortgage payments are often turning to doing a short sale as a means of escaping their debt. If you are not familiar with the term, a short sale is when a bank or mortgage lender agrees to discount a loan balance because of a financial hardship on the part of the borrower. The home owner sells the mortgaged property for less than the outstanding balance of the loan, and turns over the proceeds from the sale to the lender. One of the most important considerations when pursuing a short sale of your Massachusetts home is to make sure that the debt has been canceled! As a Massachusetts Realtor that has been representing a number of home owners in a short sale, I can tell you there is always a sense of great relief when a short sale approval comes from the bank. Often times it is months of waiting and the uncertainty can wear on anyone that has gone through the process. Short sales are anything but short! For the past few years I have been successfully completing short sales all over the Metrowest Massachusetts area. So far the success rate has been 100% for short sale approval. Given the fact that nationally the success rate is very low, this is an accomplishment I am proud of. All of my short sales are completed with the help of a local attorney who works with me during the short sale process. The relationship has been tremendous and my seller clients have been the beneficiaries of our team work. One of the things I have been able to count on is the fact that the attorney has gotten a release of debt from the lender. This point is crucial for you to understand because there are lots of Realtors out there who are representing sellers in short sales that do not know anything about debt removal. What has been coming to light recently is that a number of lenders are selling unpaid mortgages to collection agencies which in some states have years to come after you for a collection of this unpaid debt. Some of these collection agencies have been able to win court judgments where they can collect through repayment plans and even garnish your wages if necessary! Can you imagine hiring a Realtor to get a short sale approval for you only to find out years later that there was no release of your debt. I am sure you would not be a happy camper!! These short sales where the debt has not been released is opening up opportunities for companies and investors that specialize in preying on people who did not know any better. This is big business and is known in Real Estate circles as “scratch and dent”. There is some relief in sight for some folks under the new Home Affordable Foreclosure Alternatives Program (HAFA) that started April 5th. This new short sale program aims to prevent banks that hold second-lien loans from pursuing collections from homeowners after the short sale. Under this HAFA program sellers will receive notice that their service company has steered part of the sales proceeds to secondary lien holders in exchange for release and full removal of their liens. It is important to understand however, that this release would apply only to short sales done through the Home Affordable Foreclosure Alternatives program. Not all lenders will be participating in this program. Above all else if you are doing a short sale make sure your representative gets the lender to sign off on a complete removal of debt on your property! Do you need to complete a short sale of your home or condo in Ashland, Bellingham, Blackstone, Douglas, Framingham, Franklin, Grafton, Holliston, Hopkinton, Hopedale, Medway, Mendon, Milford, Millbury, Millville, Natick, Northboro, Northbridge, Shrewsbury, Southboro, Sutton, Wayland, Westboro, Whitinsville, Worcester, Upton and Uxbridge MA. Get in touch I would love to interview for the chance to represent your best interests. I am successfully completing short sales through out the Metrowest area. So far, knock on wood, I have a 100% success rate for short sale approval.! About the author: The above Real Estate information on Massachusetts short sale debt removal was provided by Bill Gassett, a Nationally recognized leader in his field. Bill can be reached via email at billgassett@remaxexec.com or by phone at 508-435-5356. Bill has helped people move in and out of many Metrowest towns for the last 24+ Years. Bill it does not surprise me at all that there are Realtors who are representing sellers and do not know what they are doing. In my area I see this all the time! I am willing to bet over the next few years you will see some of these agents that have taken on short sales without a clue getting sued by their former clients. 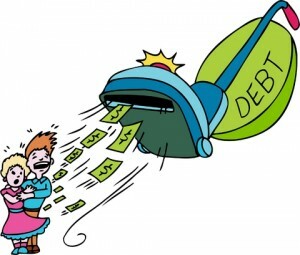 Good post on short sale debt removal! This article helped me a lot in my college assignment about Real Estate short sales. Thanks you as your outstanding information Bill. Good advice Bill…. that is the goal of a short sale isn’t it? So far I have been able to negotiate with the banks for no deficiency judgment on my short sales except for one on a small second where the bank explicitly had they retained the right to…….. Probably not worth the bank pursuing. That is the goal of a short sale Kevin but there are many Realtors that don’t know what they are doing and unless the short sale approval letter has explicit language stating such then the lender could come back after the seller. There are many 2nd mortgage holders that are pursuing relief against those sellers. I want to know If you can help me get out of debt for the for my short sale. The real tors deceived me into thinking that the second mortgage was discharged. Is there any difference in debt consequences in case of the second bank loans in short sales versus forclosure. Is it true that forclosure always cancels all debts of also secont bank, while short sale doesn’t. Delilah – I am sorry to hear what happened to you with your short sale. You may have a good case going after the Realtor. I am not an attorney. You should speak to one and get good legal advice. Anya a foreclosure does not wipe out the debt. The lender can come after you for the deficient amount that you owe them. More and more lenders are doing this in both short sales and foreclosures. Completed a short sale with Wells Fargo. Had to short sale due to circumstances that would not let us afford keeping our home. Followed their process as best as we could. Right after completing the short sale, Wells Fargo came after us for the deficiency. Threatening us to pay before they go to the courts and sue for damages – which per WF can be a lot more than the deficiency as they have incurred the costs of hiring very expensive lawyers. Telling us that they have the right to start garnishing wages. Have two days to accept the offer from Wells Fargo. Will require us to dig into our childrens education funds to pay them and live with longer term consequences..
We live in Massachusetts. Any advise would be appreciated. The only advice I can give you is to speak with an attorney. Who negotiated the short sale for you? 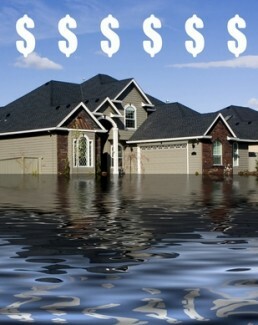 Did they not explain short sale debt removal to you and what the terms you accepted in the short sale approval letter? My girlfriend recently got a tax bill from Mass DOR as a result of a short sale on her primary residence in Florida. She moved back here the same tear as the short sale was done and has claimed bankruptcy. Does this sound right? They have given her a tax bill close to $6000.. Thanks. Russ this does not sound right to me. I believe you should only be paying taxes where your primary residence was located. I would consult a tax professional. Bill, I just went through this with a client, and thanks to some hard work on the part of the team of professionals I put together, we were able to get the debt released in full. Keep the articles coming! I learn more and more every time I read. Hope all is well. Hi Bill – I read your helpful short sale blog. You don’t serve my area, to bad, but I have a question. Should the final paper work say, first and second debt has been”canceled? My paper work states, they except and release all debt, doesn’t say canceled. I asked if they can come bake on me for deficiency and was told no. If they come back on me do I have any rights. They did say I have to pay tax on the deficiency because it’s income property which I think is crazy. Closing date set for next week. Hi Char – based upon what you have mentioned here it sounds like your short sale debt has been released which means the same thing as canceled. I just got approved on a short sale on my house in Taunton, MA and close on 8/28/14. The cancellation of debt on my first mortgage is about $60,000. and $11,000. on my second mortgage. Do you know roughly how much that would compute to pay in taxes next year? Is the debt relief act still in tact? Jason unfortunately the debt relief act is no longer in effect. Massachusetts never recognized the debt relief act so it only afforded you favorable treatment on your federal return. There is no way for me to know how much you would owe in taxes. This is something only a qualified accountant would be able to help you with.